Feeling overwhelmed or distressed? Anxiety and depression are just a few of the areas that our qualified professionals can support you with. The new Open Minds Mental Health Hub at Morayfield provides face-to-face psychological and counselling services to help you live the life you want. Because we are situated within the innovative Morayfield Health Hub, you can benefit from the integrated health care available here including GPs, Rehabilitation, X-Ray, Minor accident and illness, as well as free parking and child care services. Interested in seeing what the new facility looks like? Take a look at our latest photos here. View our fee schedule or book an appointment today by calling us on 1300 MY MIND (1300696463). We also provide support to military personnel, veterans and their families as well as support for people impacted by a violent crime to assess appropriate services and financial assistance. Sharon is an Accredited Mental Health Social Worker experienced with working with adults with a broad range of mental health conditions. She has a particular interest in working with perinatal mental health (including preparation/adjustment to parenting, feeding issues, fertility and birth trauma) as well as anxiety, depression, grief and loss and trauma more broadly. Sharon works at the Centre on Fridays. 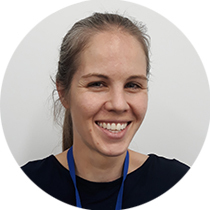 Kelly is a Provisional Psychologist currently offering free allied health counselling to eligible clients at the Centre as part of her process for registration as a General Psychologist. Kelly works with young people and adults with a broad range of mental health conditions including depression, anxiety, stress, adjustment difficulties and trauma. Kelly works at the Centre on Fridays and works with Open Minds Partners in Recovery program in the Moreton Bay region the remaining four days of the week. Micah is a General Psychologist with experience working with adults with a broad range of mental health conditions including depression, anxiety, post-traumatic stress disorder, grief and loss, positive ageing, trauma and relationship difficulties. Micah has particular interest in working with veterans and emergency service personnel and has unique experience completing assessments and reports for both the family law and criminal courts. Micah is also a Board of Psychology approved supervisor and can provide supervision to Provisionally registered psychologists as well as general psychologists. Micah works at the Centre part time, Tuesday and Thursday. Belinda is a Clinical Psychologist experienced in working with children, young people and adults with a range of mental health conditions. She has a particular interest in working with children experiencing anxiety, school issues and bullying, as well as working with parenting, attachment disorders, post-traumatic stress disorder and complex trauma. 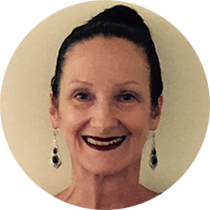 Belinda is trained in Circle of Security and Eye Movement Desensitization and Reprocessing (EMDR) therapy. Belinda works at the Centre part time, Monday, Wednesday and Thursday. Alice is an Accredited Mental Health Social Worker experienced with working with adults, couples, young people, children and families/carers. Alice has particular interest in working with victims of crime/ adult survivors of childhood sexual assault, domestic and family violence, anger management, relationship difficulties, family conflicts and cancer support for clients and carers. Alice utilises an integrative counselling approach to working with her clients. Alice works at the Centre part time, Monday to Thursday. Ryan is a General Psychologist experienced in working with adults with a broad range of mental health conditions including depression, anxiety, family stressors, trauma and situational crises. Having been a serving member of the Australian Defence Force for the last six years working as a uniformed Psychologist officer, Ryan is passionate about working with veterans of the Australian Defence Force, connecting with individuals and their core values as a motivator for change. Ryan is also passionate about working with people experiencing adjustment and workplace difficulties and he facilitates our Getting on Track skills group running every Tuesday from 1-2pm. Ryan works at the Centre full time, Monday to Friday. Bharti is an Accredited Mental Health Social Worker with experience working with people of all ages across a broad range of mental health conditions. Bharti is passionate about integrating mindful practice with individuals and families to help them live a meaningful and authentic life as well as utilising evidence-based interventions such as Cognitive Behaviour Therapy, Acceptance Commitment Therapy, Relaxation and Motivational Interviewing. Bharti works at the Centre on Thursdays. Amanda is a Mental Health Occupational Therapist who works with adults with a broad range of mental health conditions including depression, anxiety, grief and loss and trauma. Amanda also has unique experience working with the ageing population and with elderly persons experiencing dementia, and has experience working with people with drug and alcohol issues. Amanda currently works at the Centre on Tuesdays but will also be opening up her calendar on Fridays shortly. 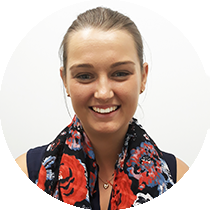 Ashleigh is a General Psychologist and is also completing her Clinical Registrar. Ashleigh works with young people and adults with a broad range of mental health conditions including depression, anxiety, post-traumatic stress disorder, anger and adjustment difficulties. Ashleigh works at the Centre full time, Monday to Friday. 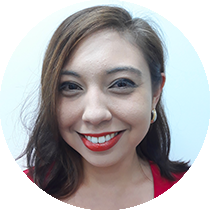 Amelia is an Accredited Mental Health Social Worker with experience working with adolescents and adults with a broad range of mental health conditions including depression, anxiety, stress, body image and relationship difficulties. 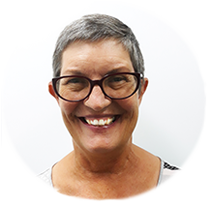 Having previously worked with Open Minds as a Care Leader under NDIS, she also has experience working with individuals with developmental and intellectual disabilities. Amelia has a particular interest working with domestic and family violence as well as with people identifying as LGBT. Amelia works at the Centre full time, Monday to Friday. 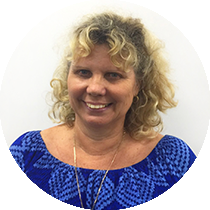 Gen is an Accredited Social Worker currently offering free allied health counselling to eligible clients at the Centre as part of her process for mental health accreditation. Gen works with adults with a broad range of mental health conditions including depression, anxiety, stress, adjustment difficulties and trauma. Gen works at the Centre on Thursdays and works with Open Minds Partners in Recovery program in the West Moreton region the remaining four days of the week. 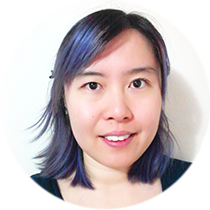 Jae is an Accredited Mental Health Social Worker and ACFED endorsed Eating Disorder Practitioner working full time, Monday to Friday, as the Centre Manager at Open Minds Mental Health Hub. Jae provides clinical and operational oversight of the Centre and also facilitates the Kids Connect and Understanding Me child groups run during each school term. How do fees work and what payment options are available? We offer counselling and psychological services through a range of funding options including Medicare, WorkCover, EAP, DVA and NDIS. You do not need a referral to access support. If you have a GP referral and a valid MHTP, you may be eligible for a rebate through Medicare. If you have Private Health insurance you may also be eligible for a rebate depending on your insurance plan. Appointments claimed through WorkCover, DVA, EAP and NDIS are free of charge and invoiced directly to the funding body as per their prescribed fee schedule. View our fee schedule here. If you have any questions regarding our fee schedule or payment options, please contact us on 1300 MY MIND.